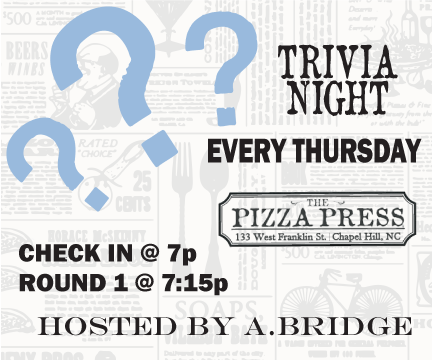 Get your friends and come test your IQ at The Pizza Press Trivia Night EVERY Thursday night! Hosted by Quiz Master Aliza Bridge – new topics each week. 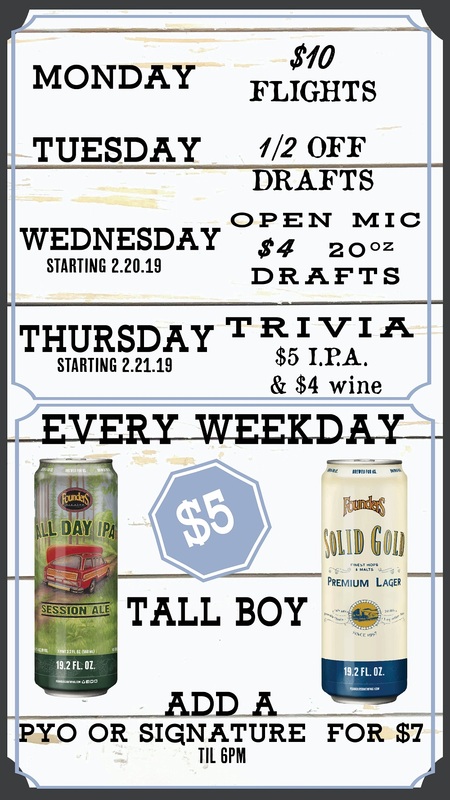 Prizes, drink and food specials – over 25 local Craft Beers on Tap! Come and dominate!! You’ll be hard pressed to find a cheesier trivia night!